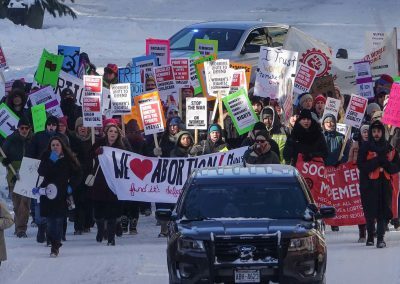 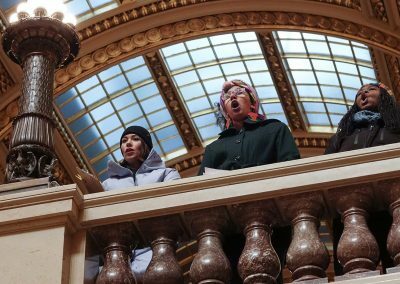 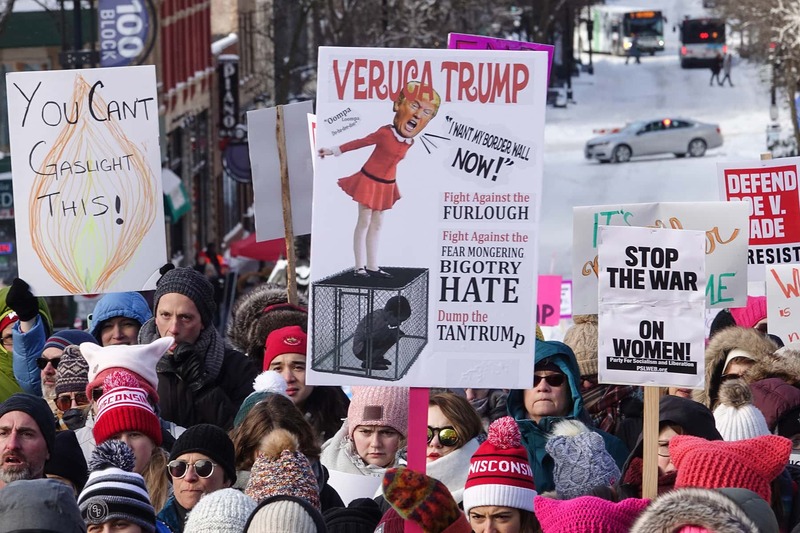 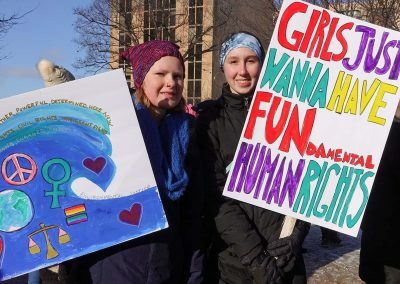 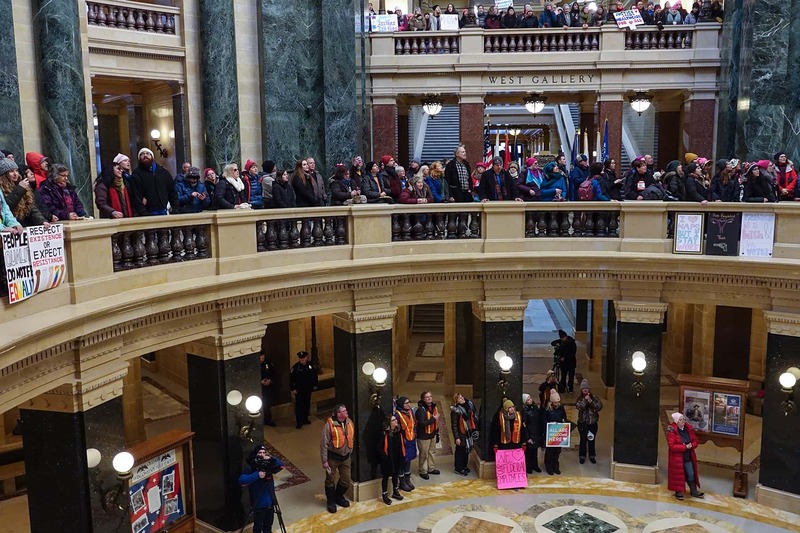 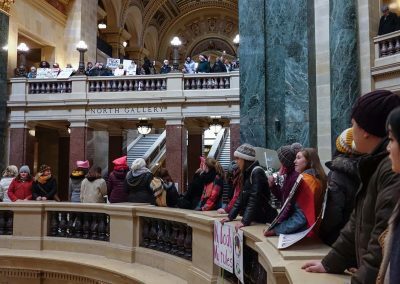 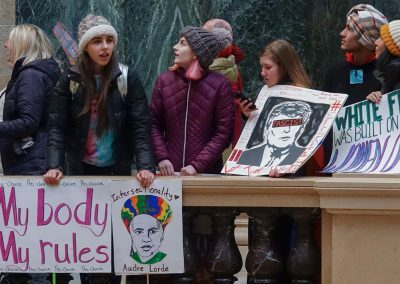 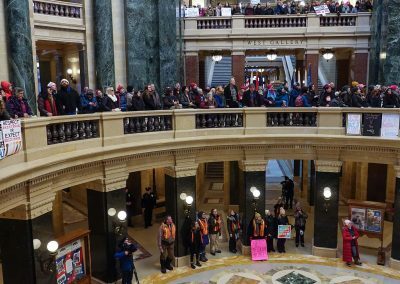 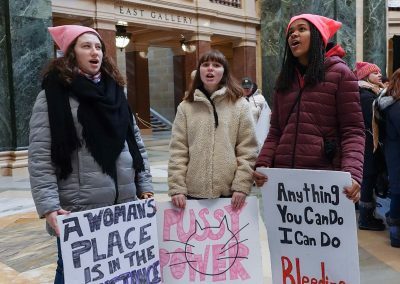 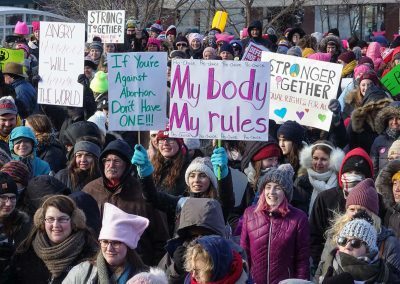 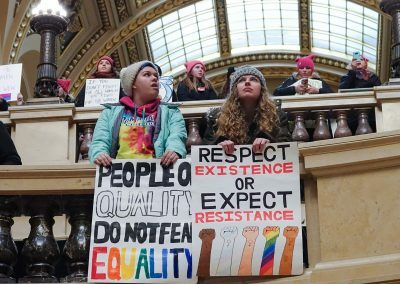 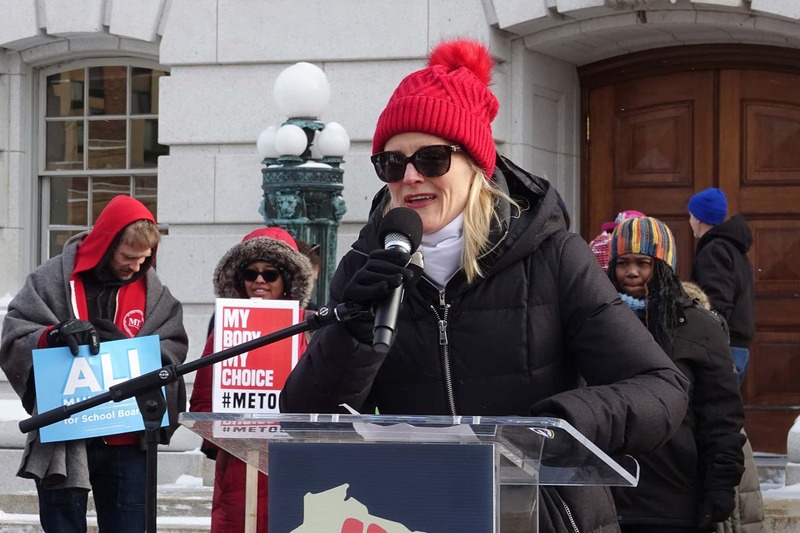 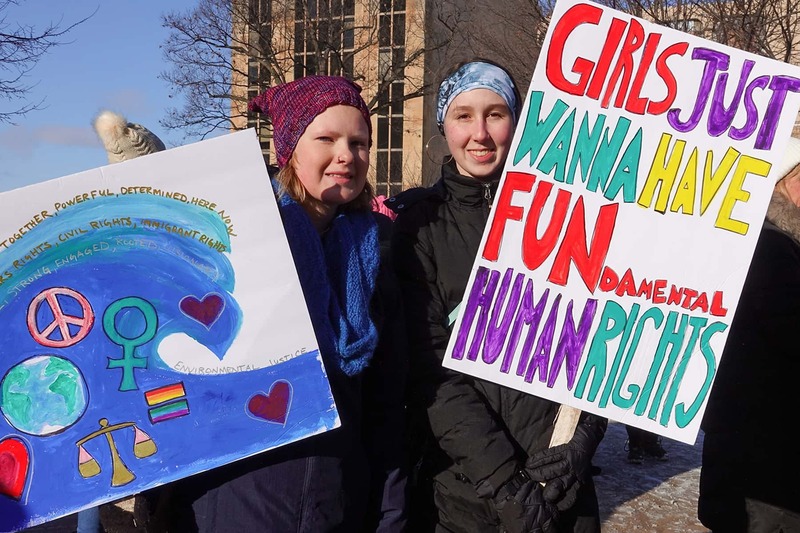 About 700 people came out one day after a snowstorm to rally at the state Capitol in Madison for the third annual Wisconsin Women’s March on January 19. 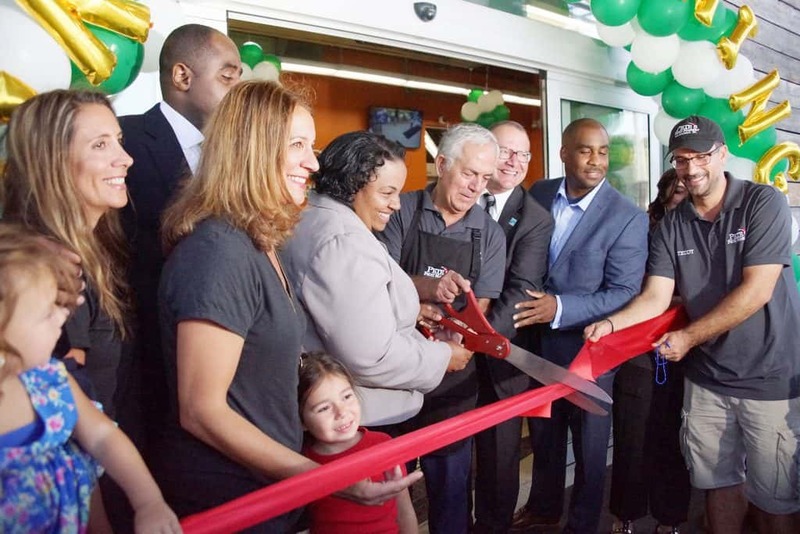 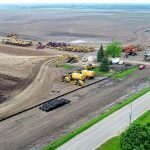 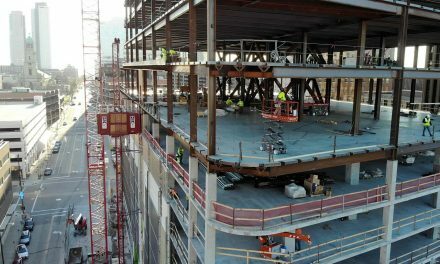 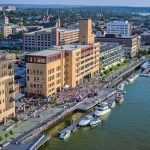 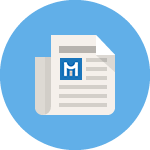 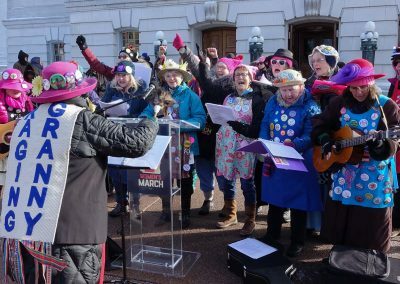 Event organizers reported that attendees gathered at the same location where two years ago more than 75,000 people showed up after the election and inauguration of President Donald Trump. 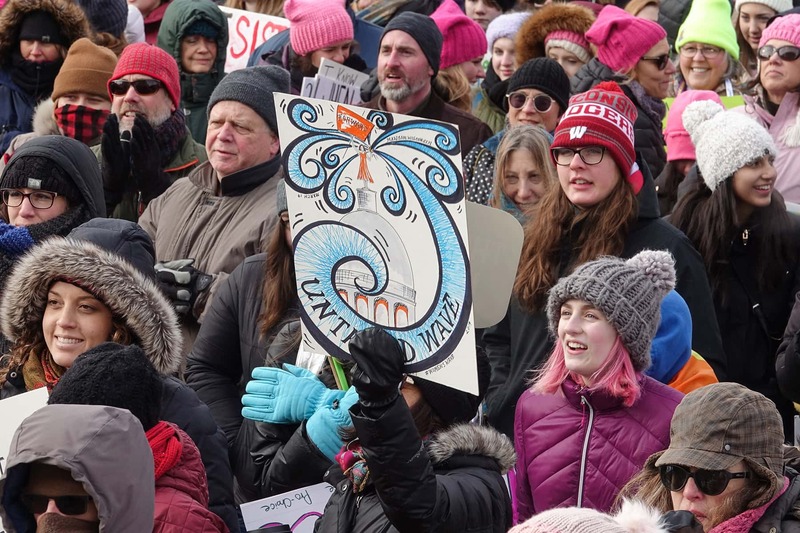 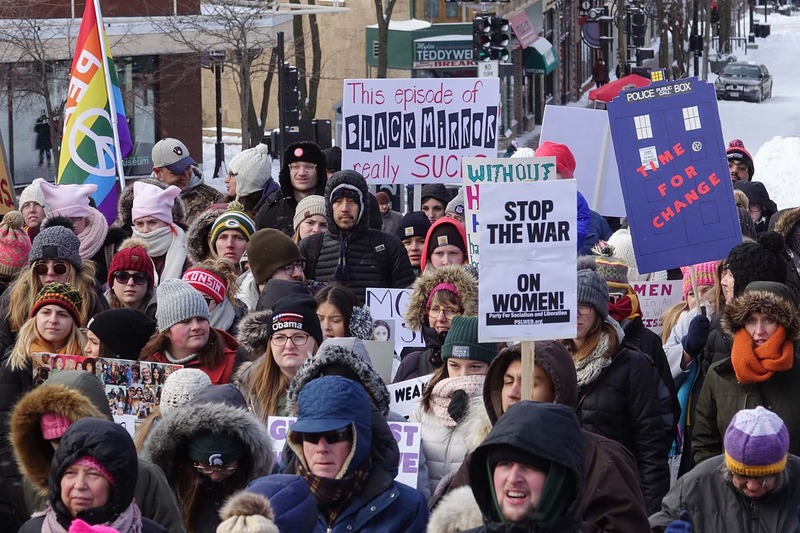 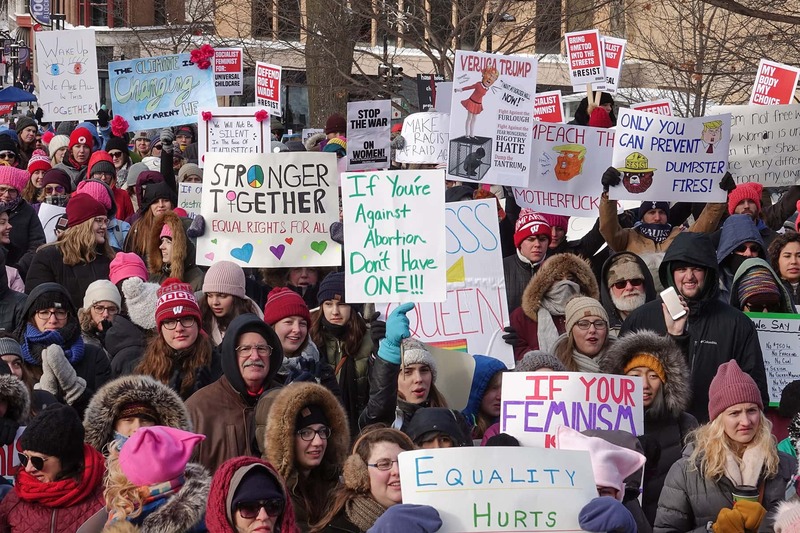 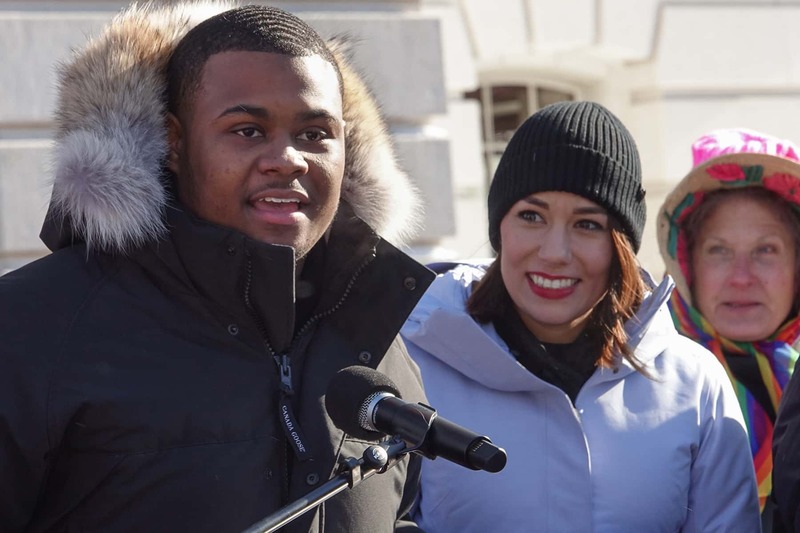 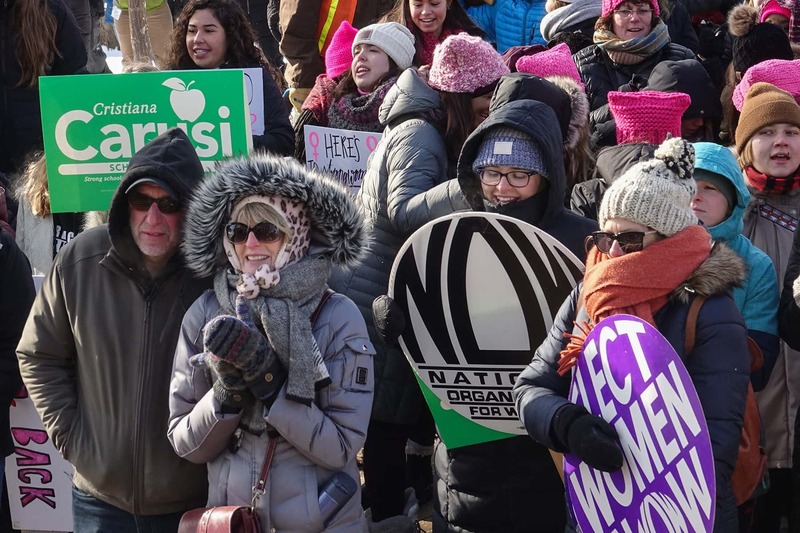 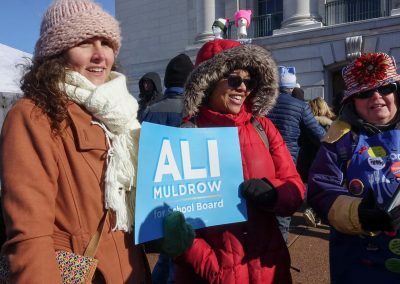 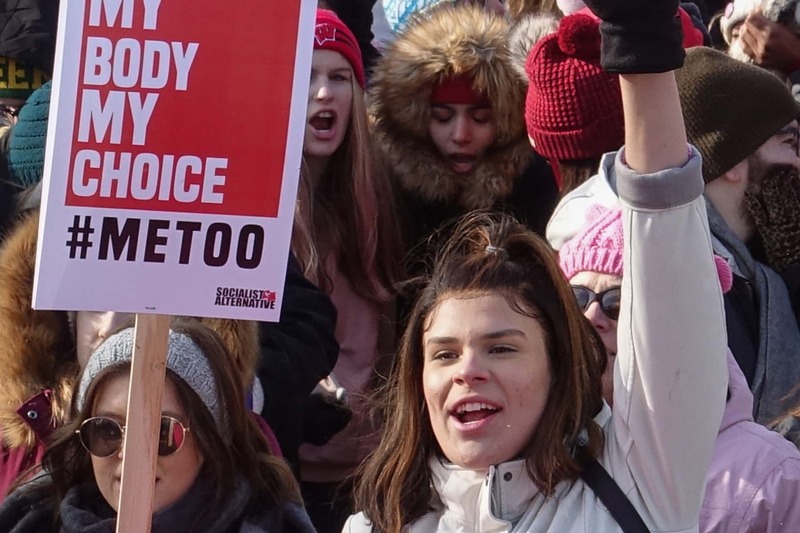 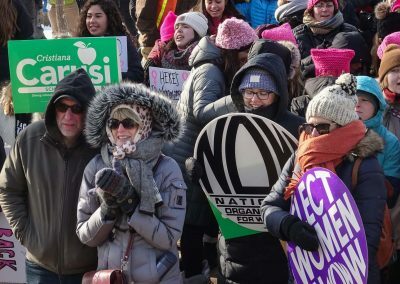 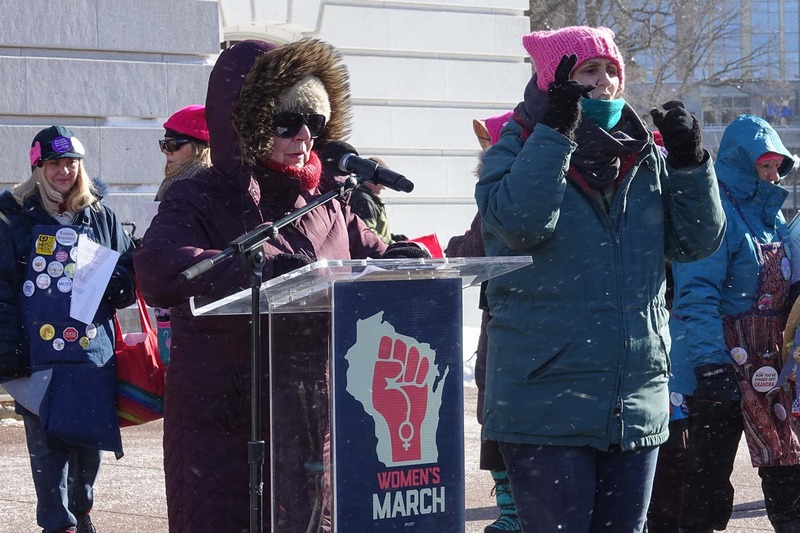 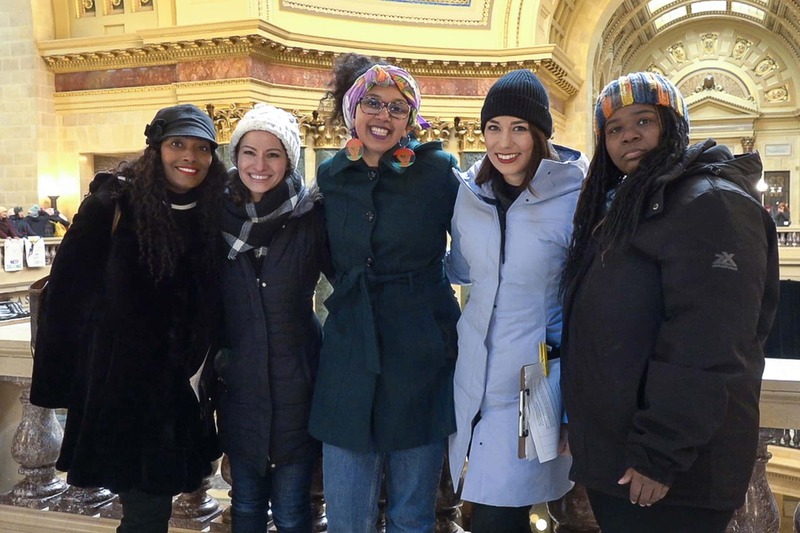 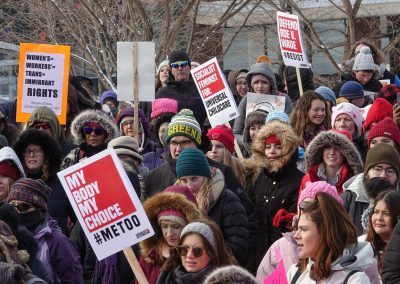 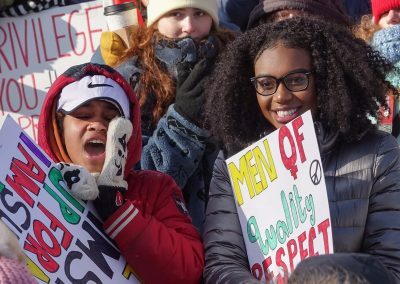 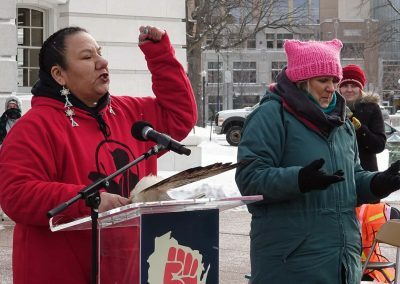 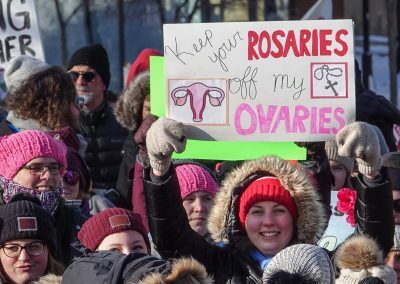 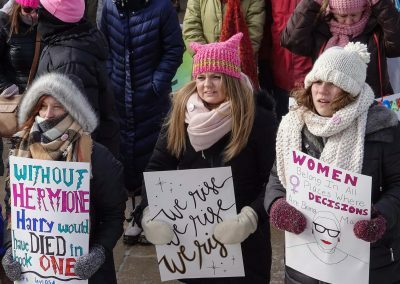 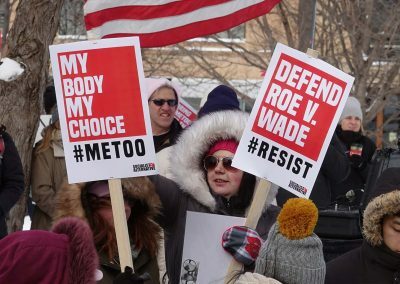 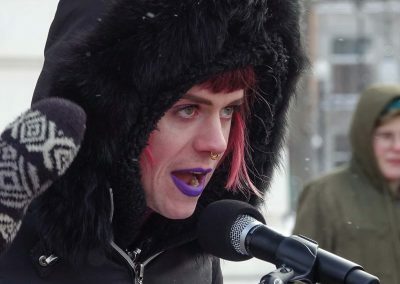 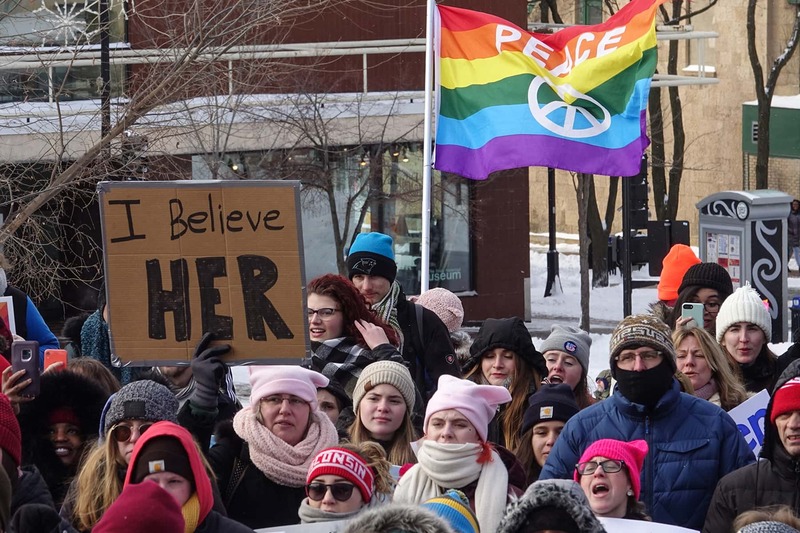 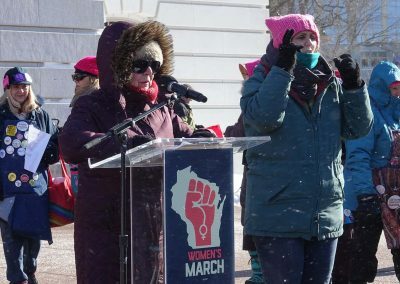 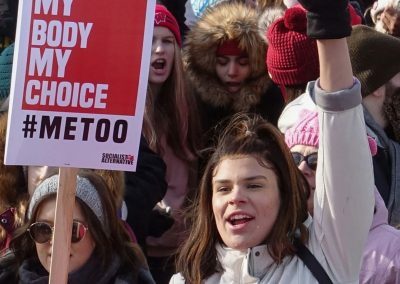 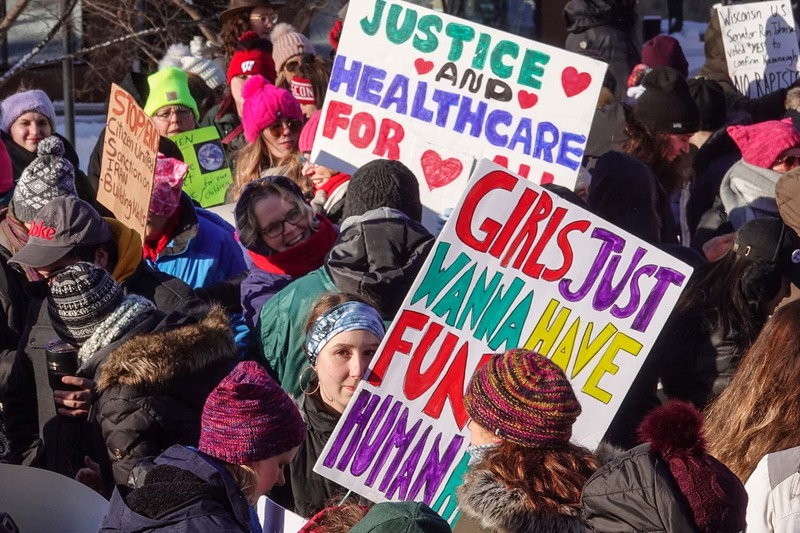 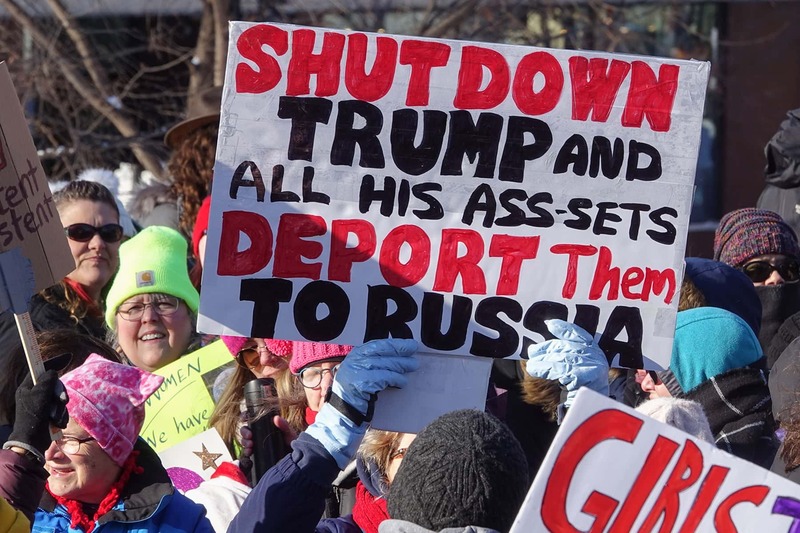 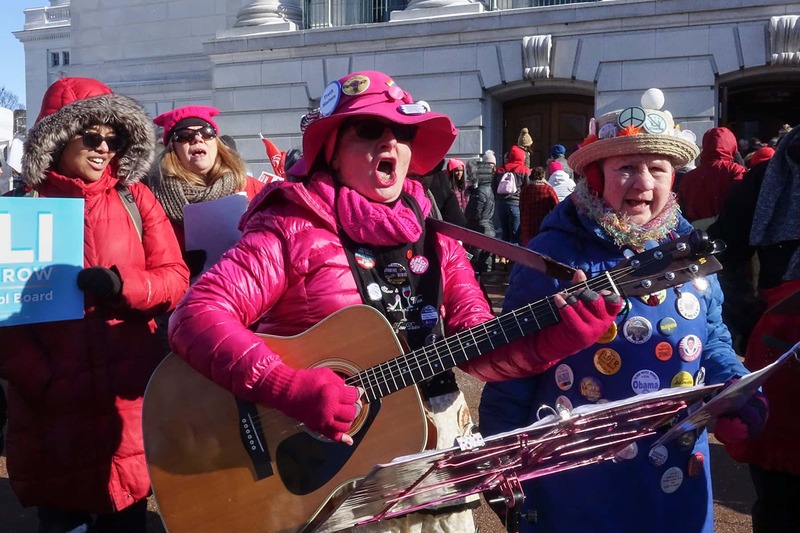 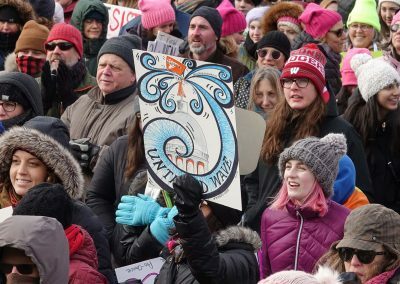 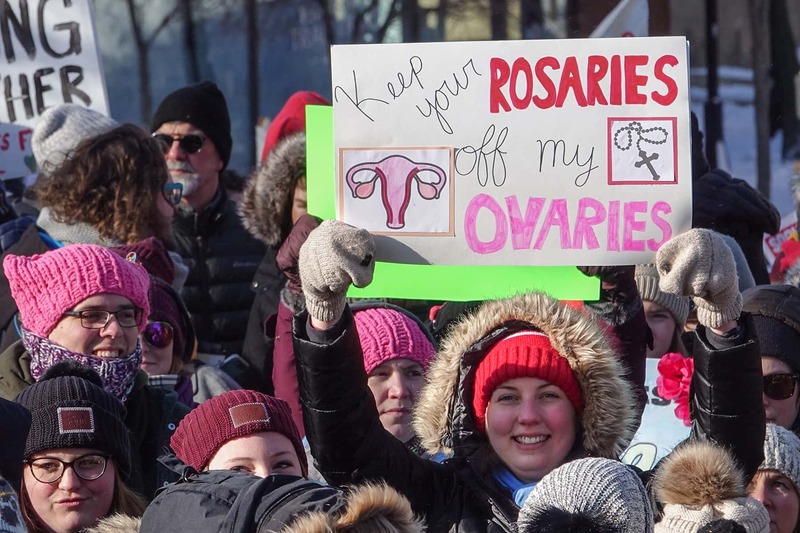 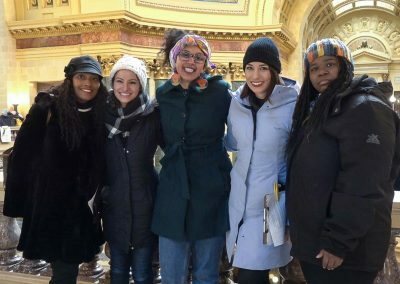 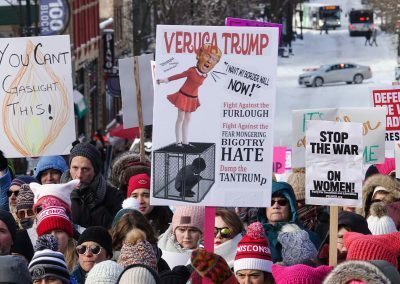 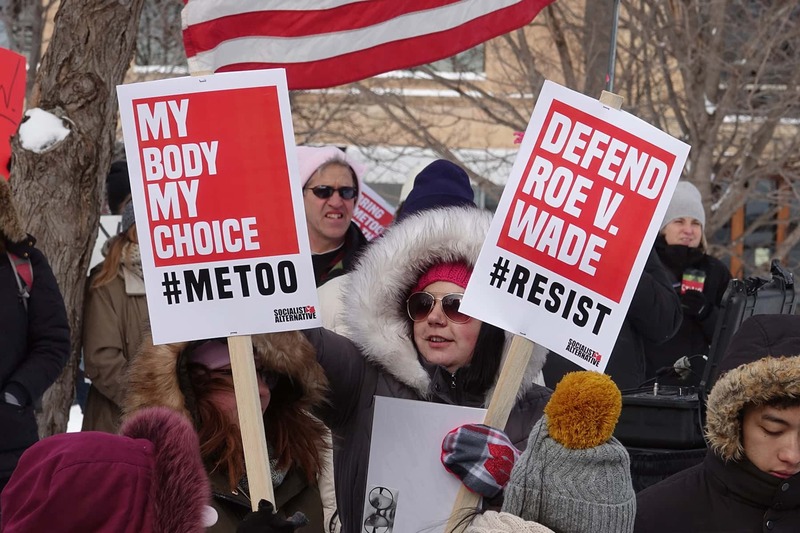 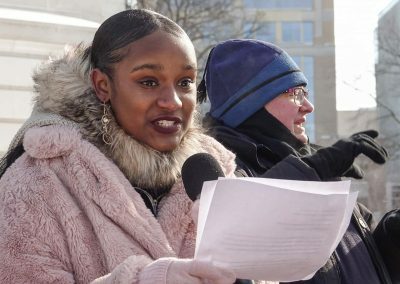 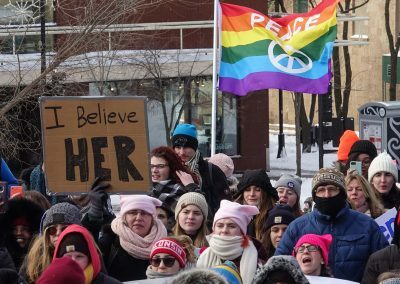 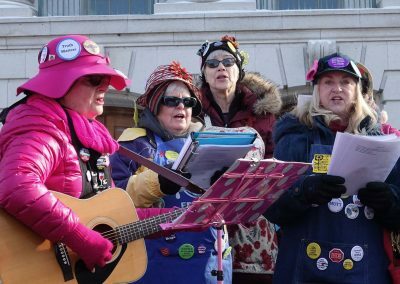 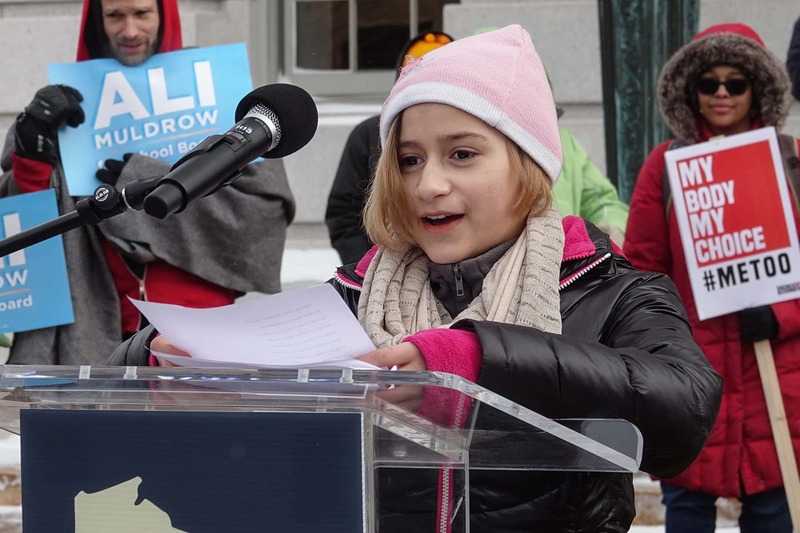 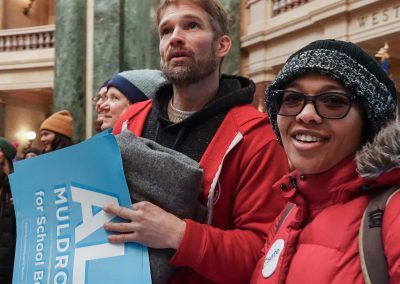 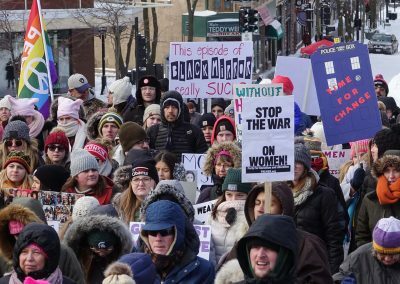 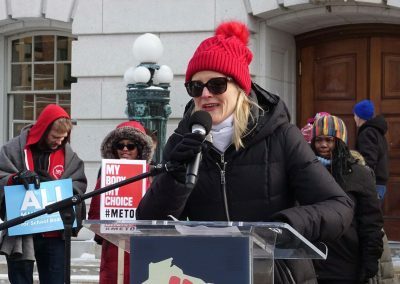 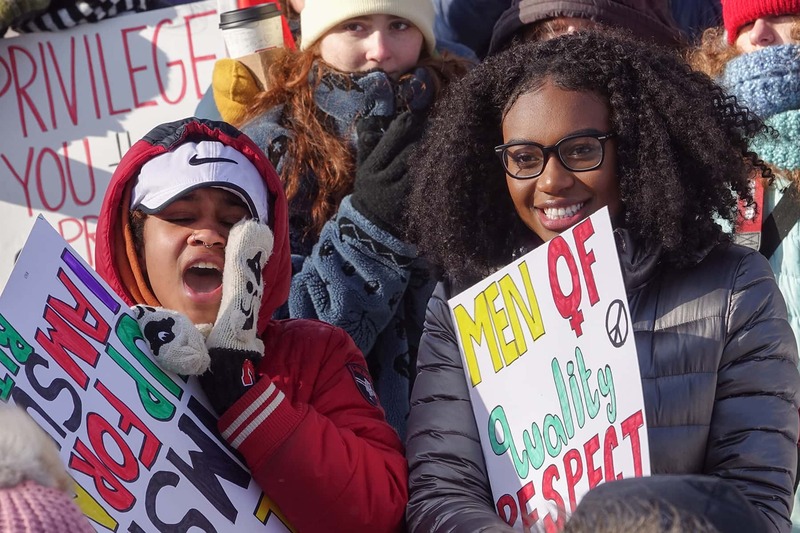 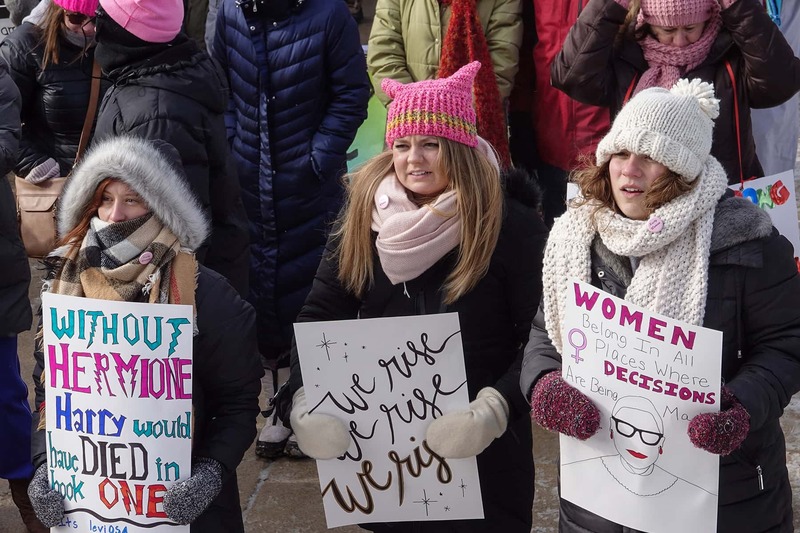 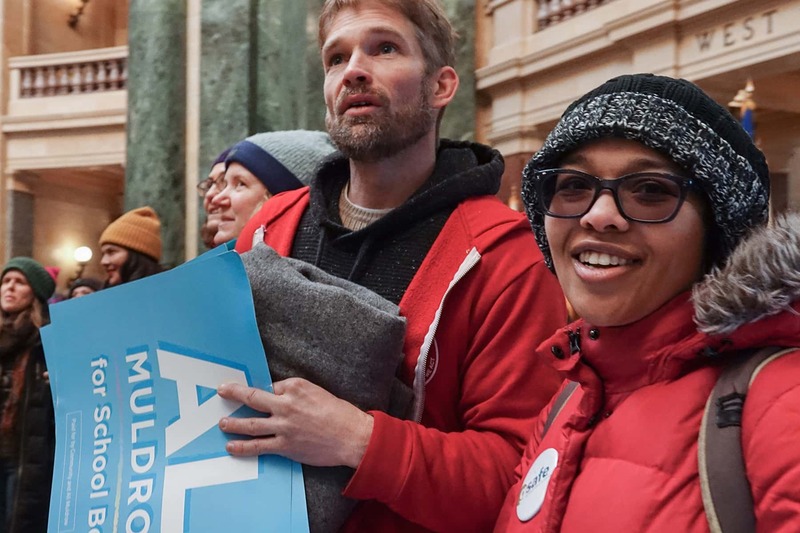 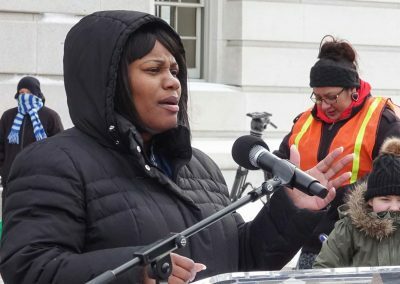 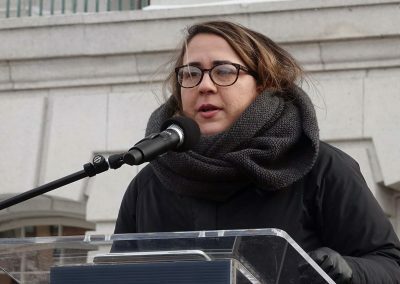 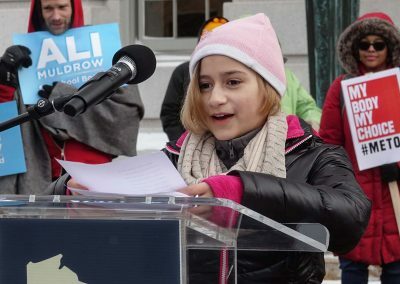 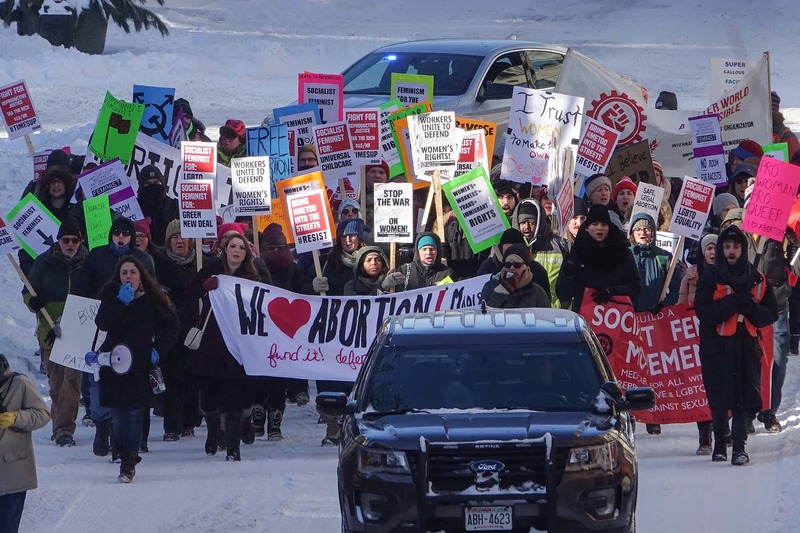 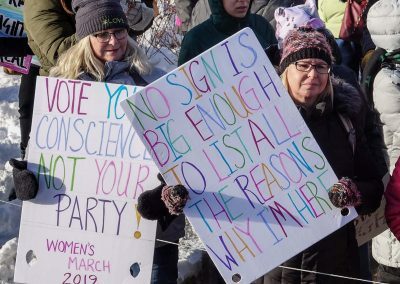 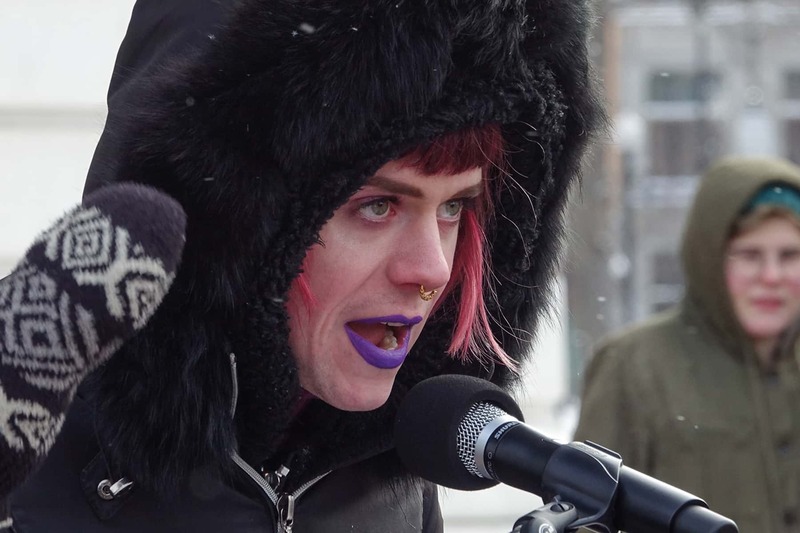 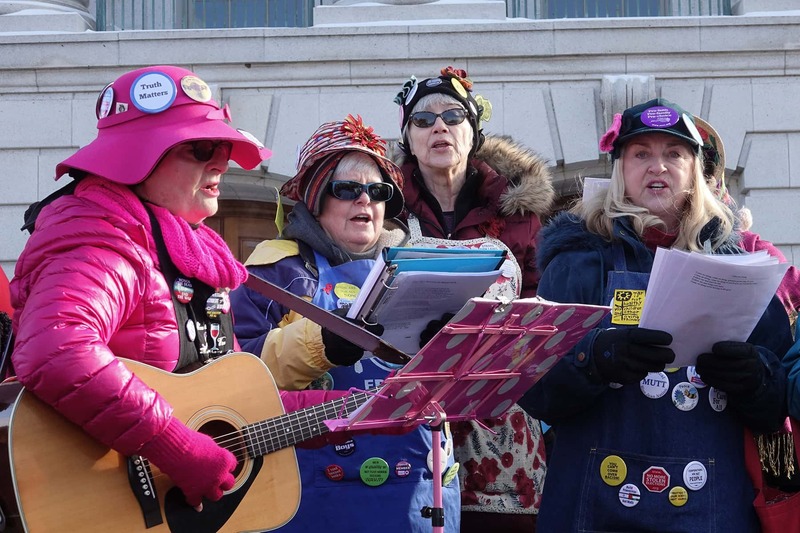 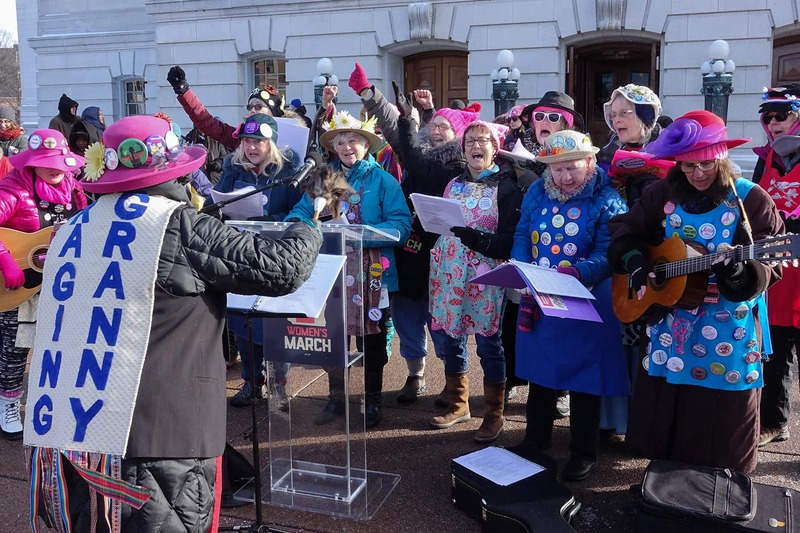 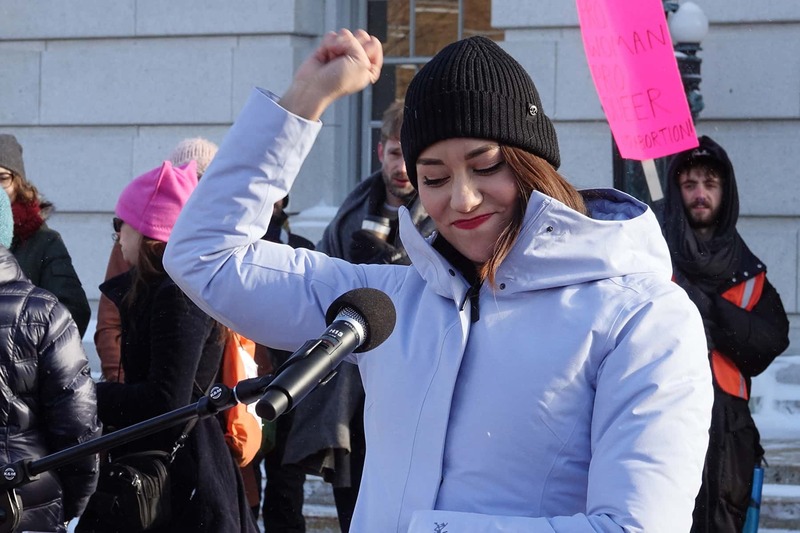 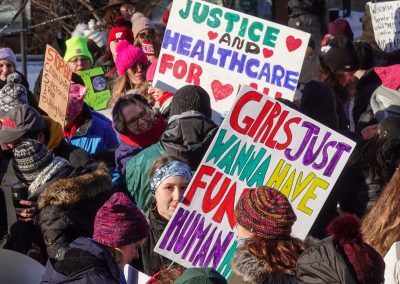 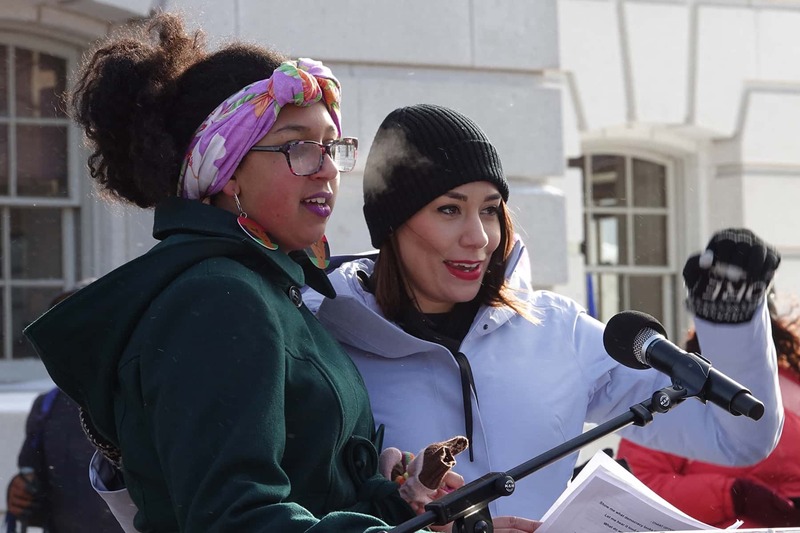 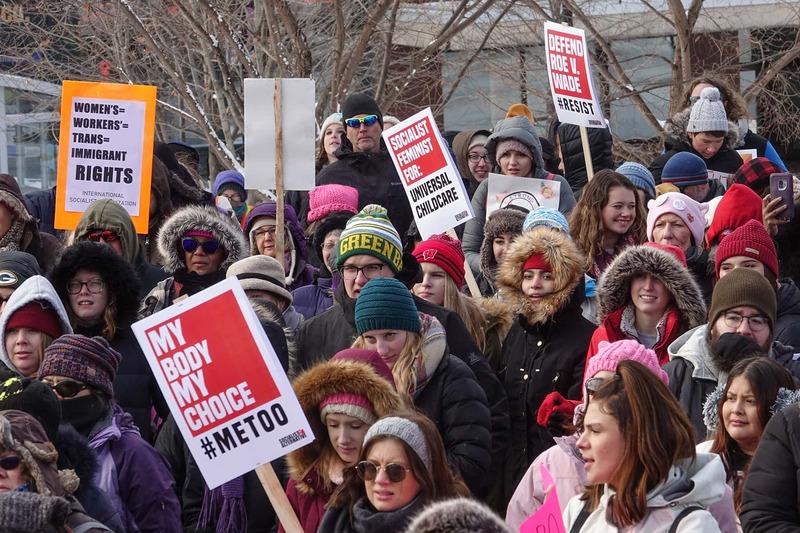 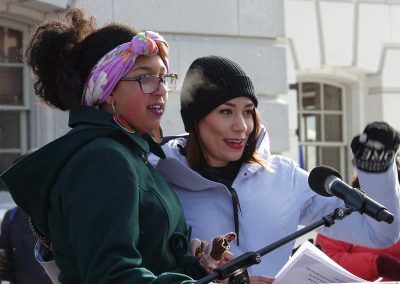 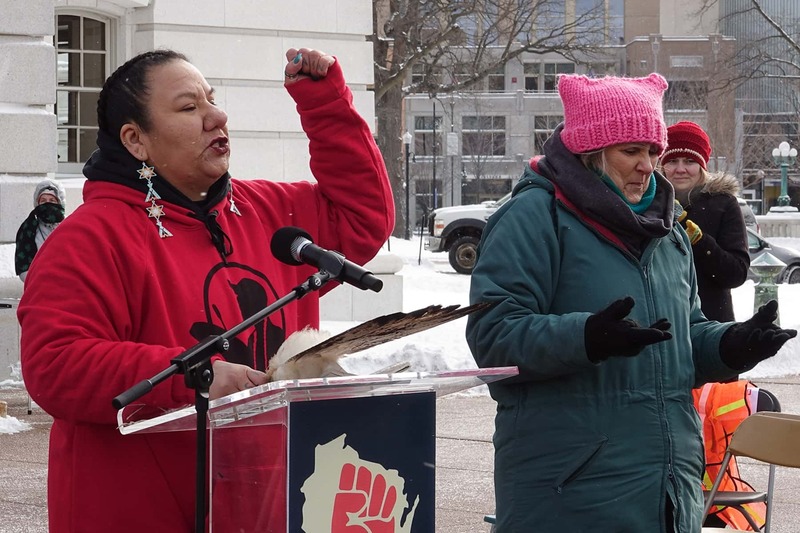 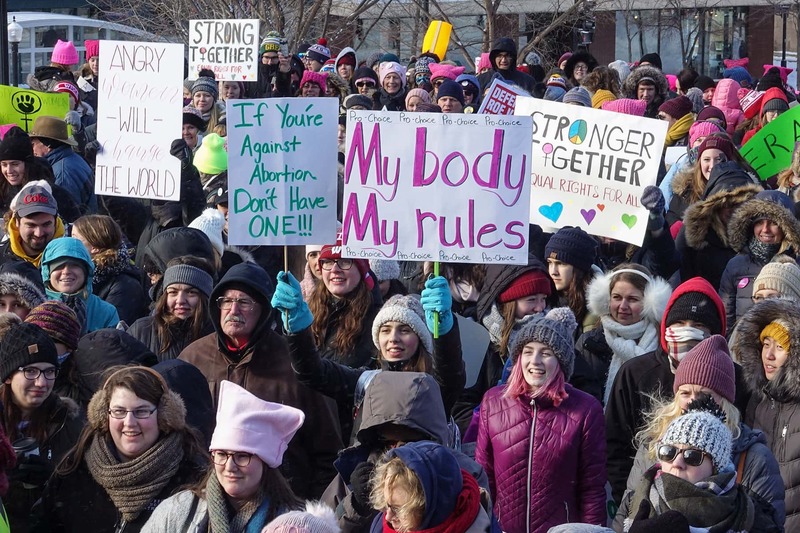 This time the group endured bitterly cold temperatures while listening to speakers who highlighted the need for progressive legislation, and greater awareness of social problems The rally, The March for 2019 was called the “Women’s Wave” and was one of many held across the country. 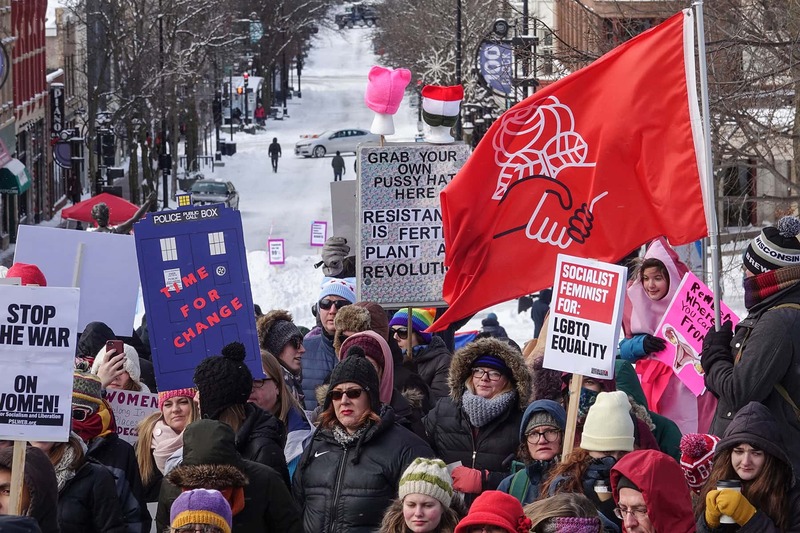 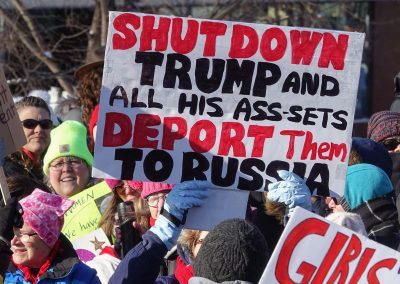 The first march was a response to Trump’s 2016 election. 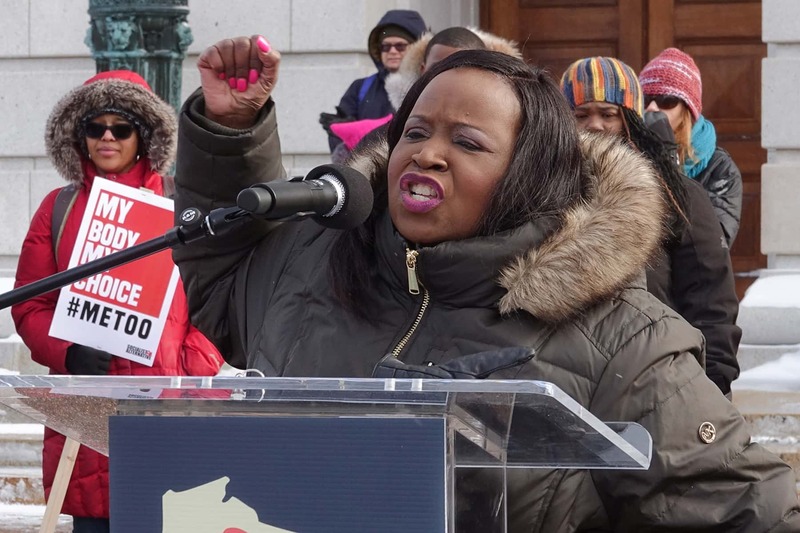 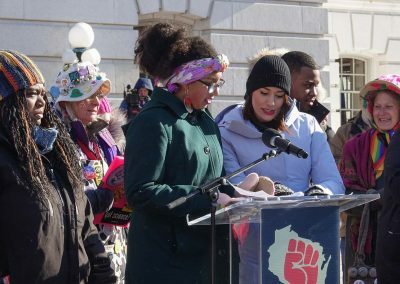 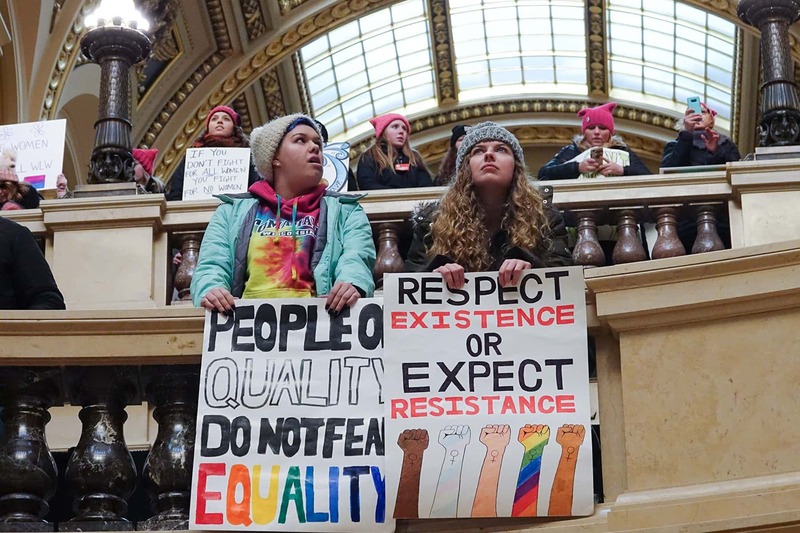 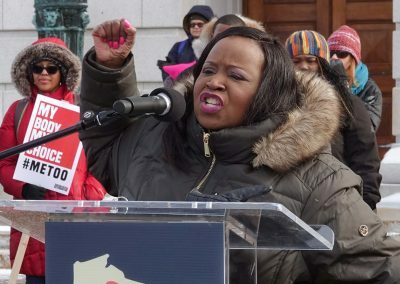 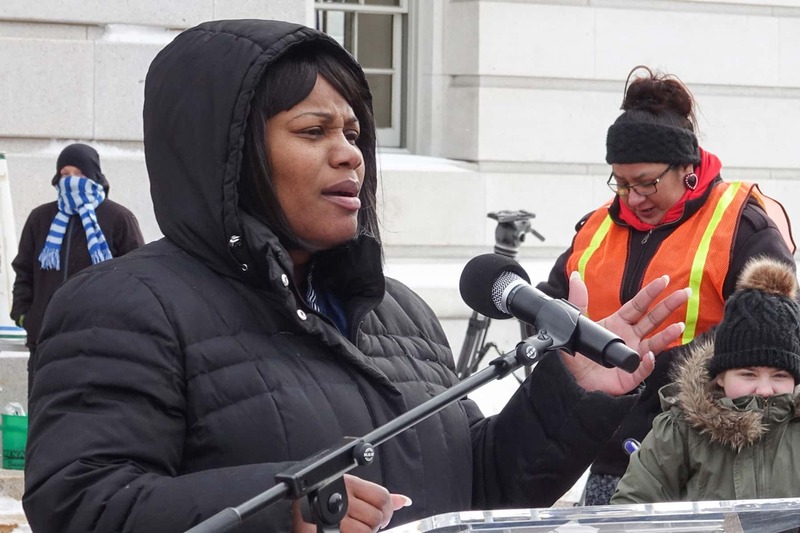 However, Milwaukee-native Sarah Pearson, a founder of the Wisconsin Women’s March chapter, said that the movement planned to continue applying pressure to focus on issues faced by marginalized communities no matter who was in power. 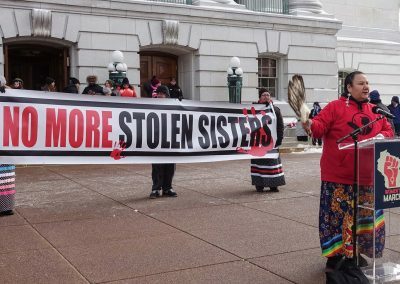 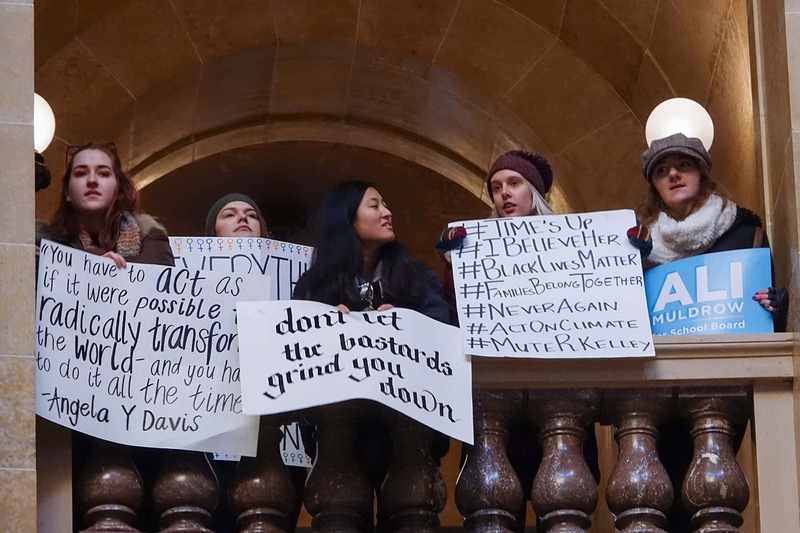 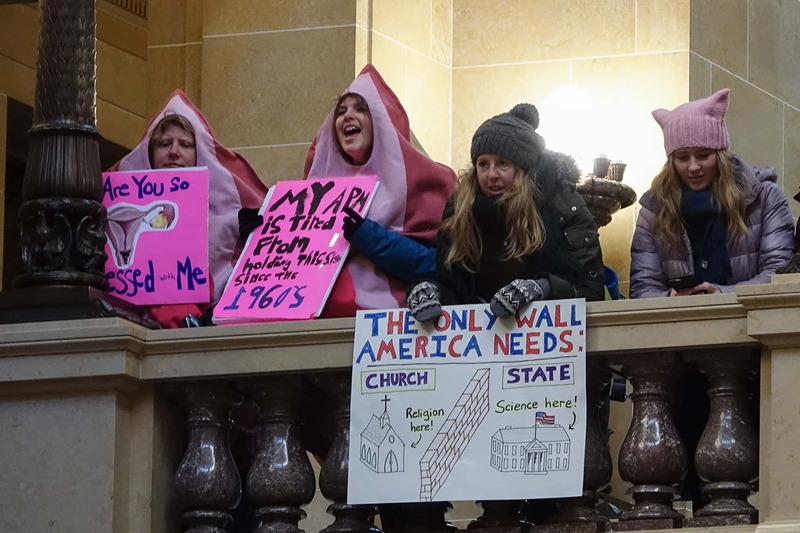 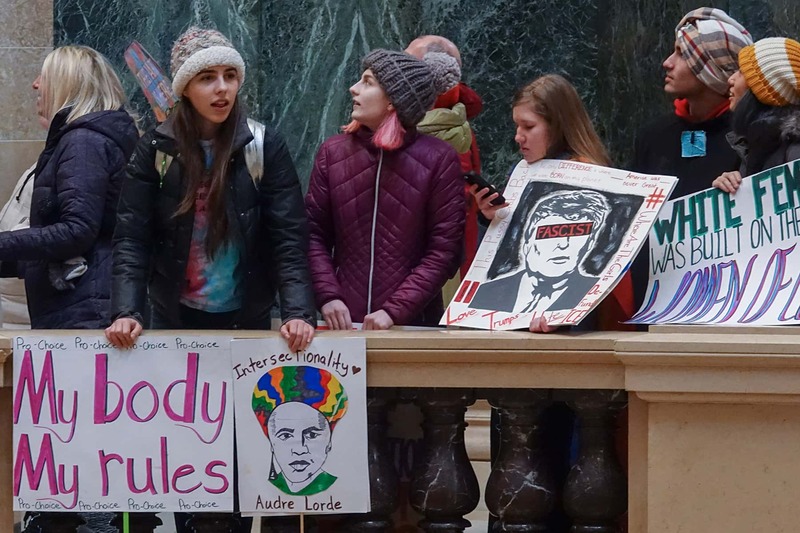 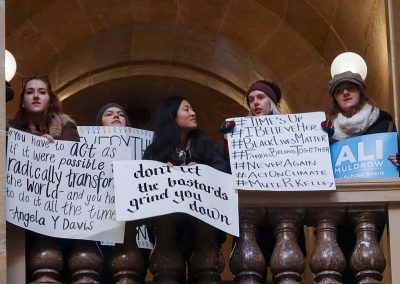 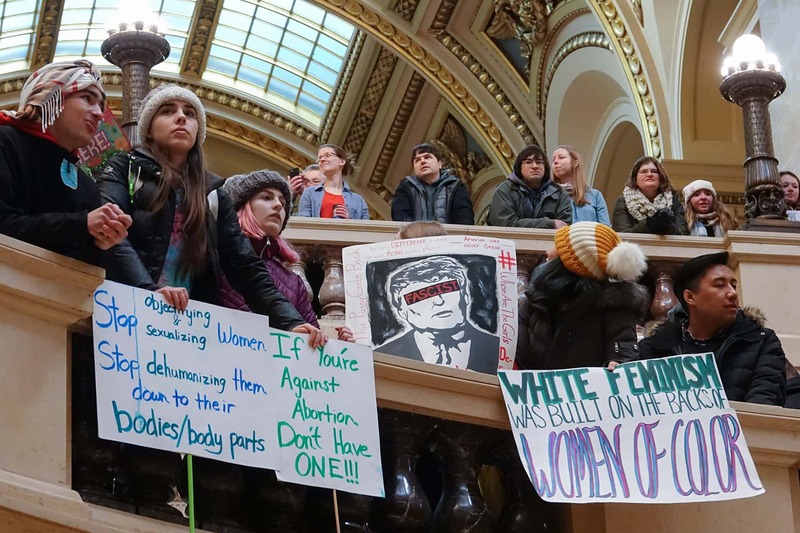 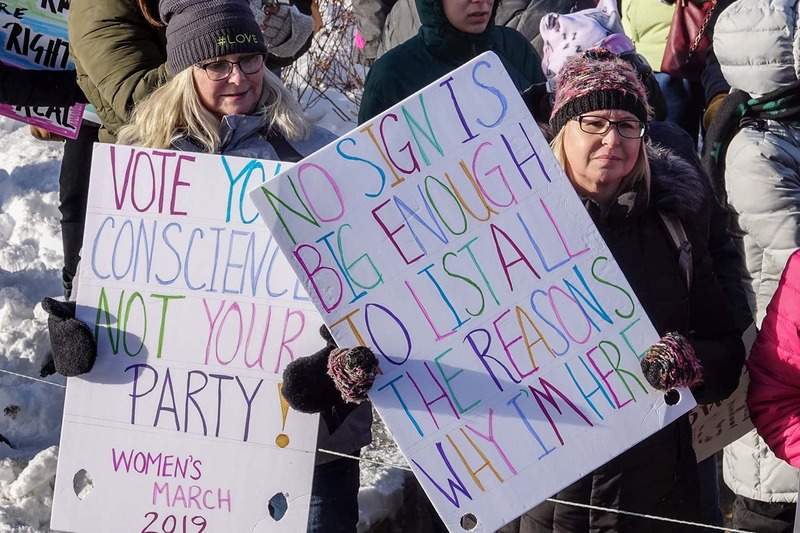 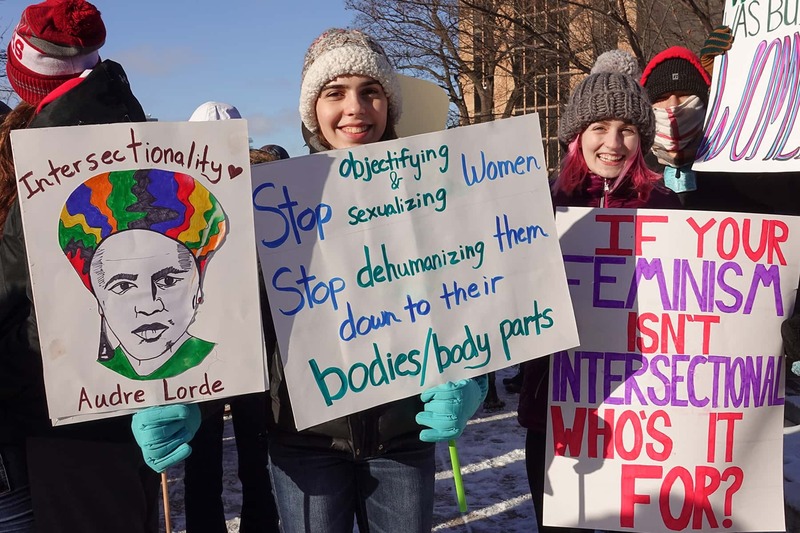 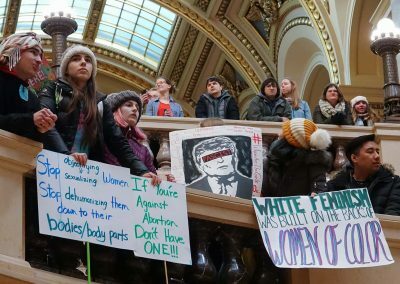 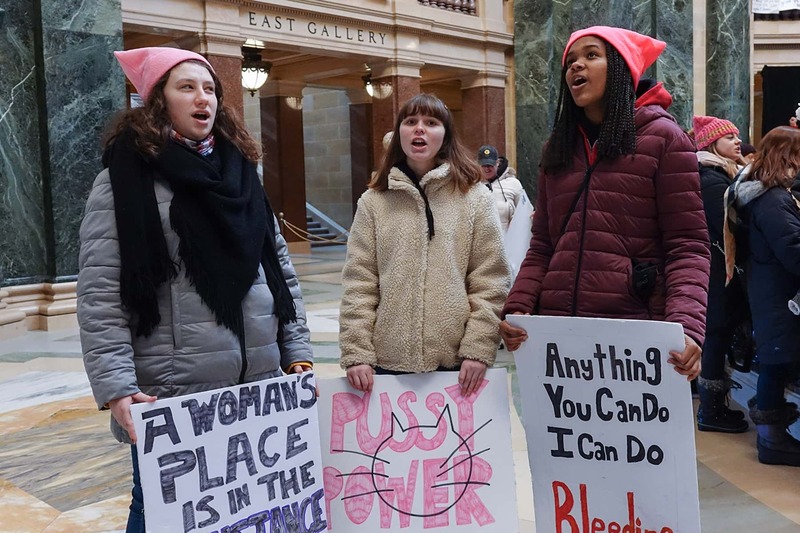 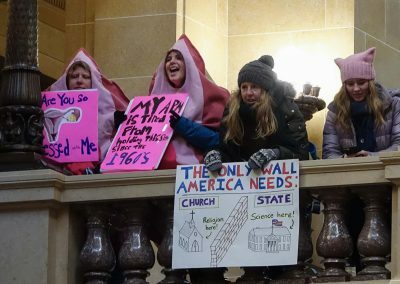 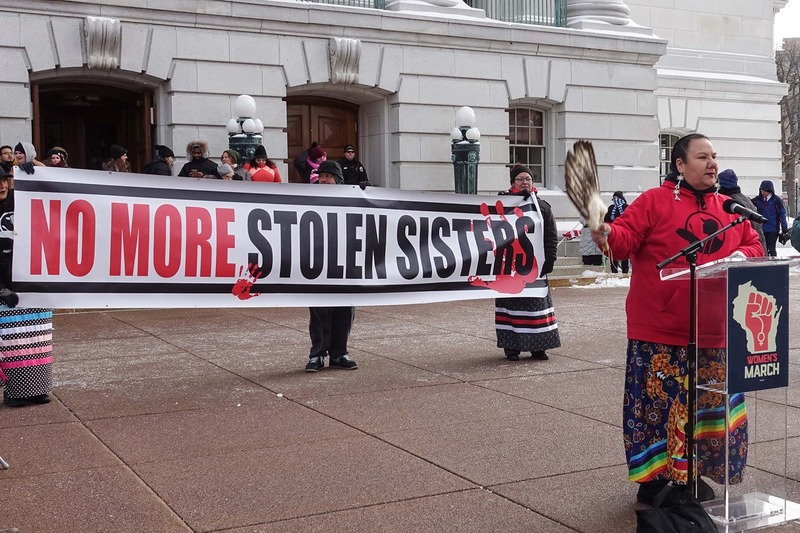 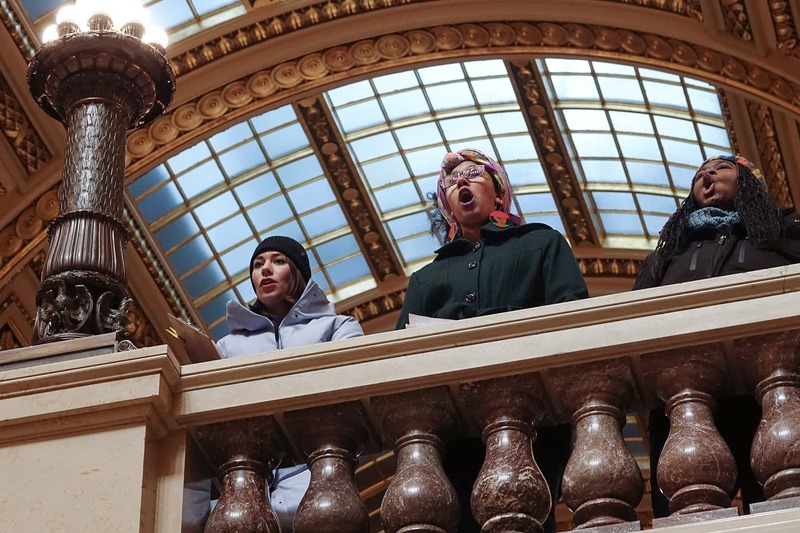 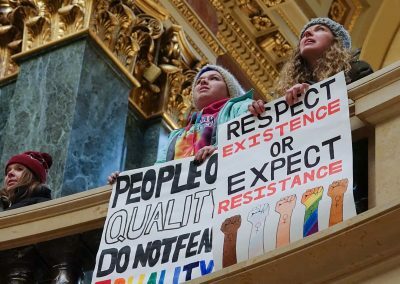 These images feature some of the highlights from the steps of the state capitol, as women and allies from across the state attended in solidarity of female voices. 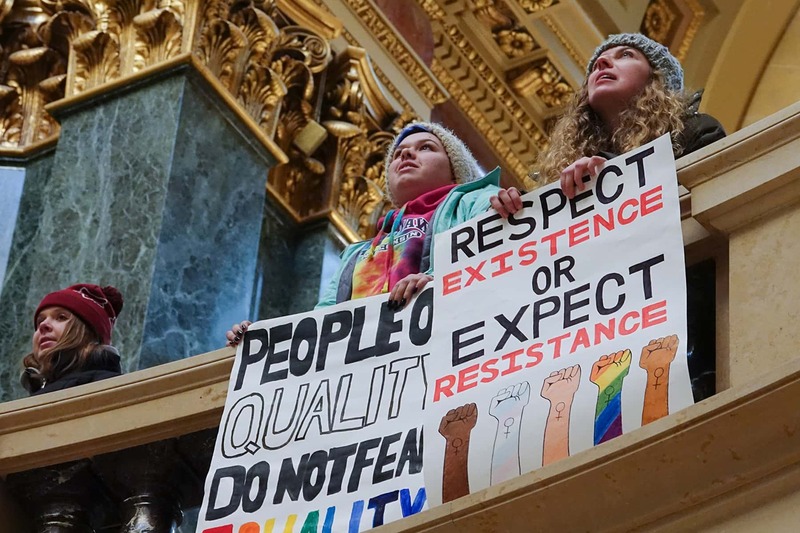 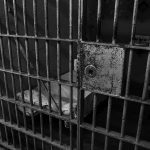 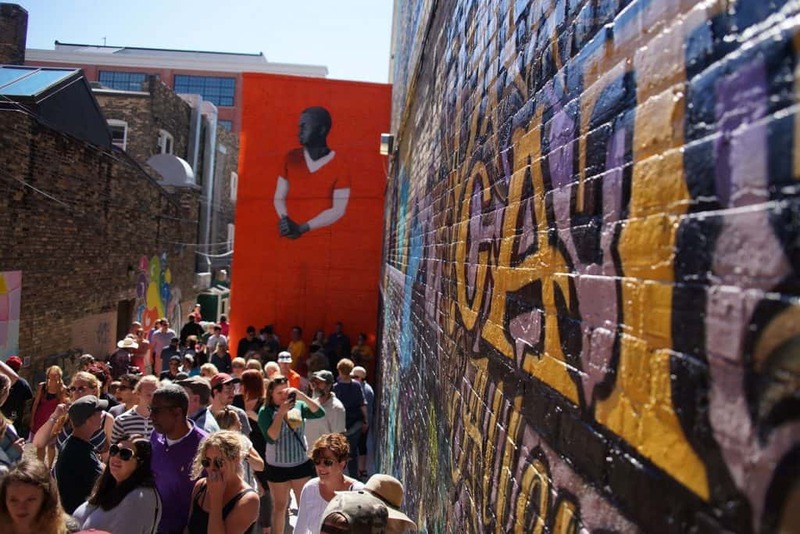 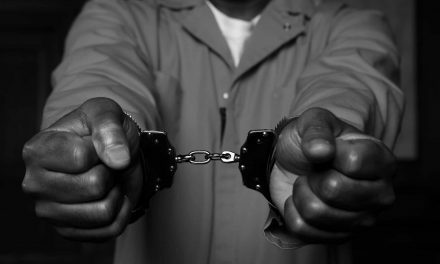 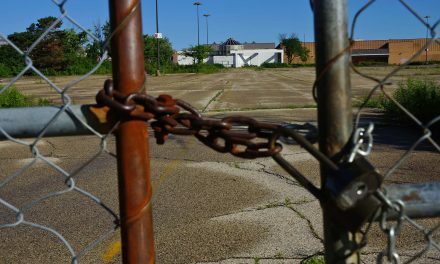 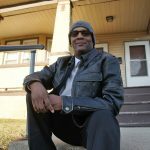 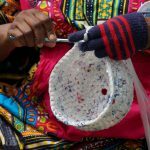 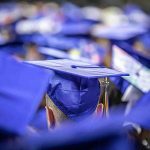 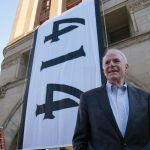 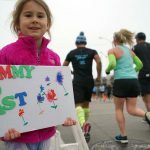 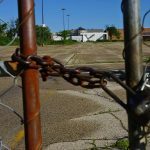 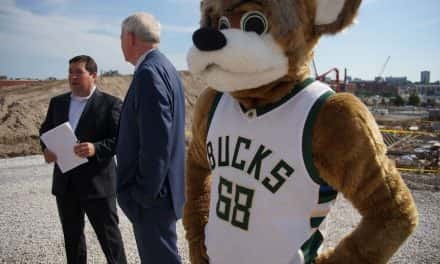 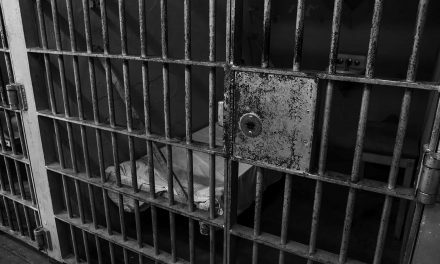 Susan Ruggles is a retired photographer and media designer who uses her skills in photojournalism to document significant events around Milwaukee that are focused on social justice.